Blue Ridge Parkway in North Carolina by Carol Highsmith. 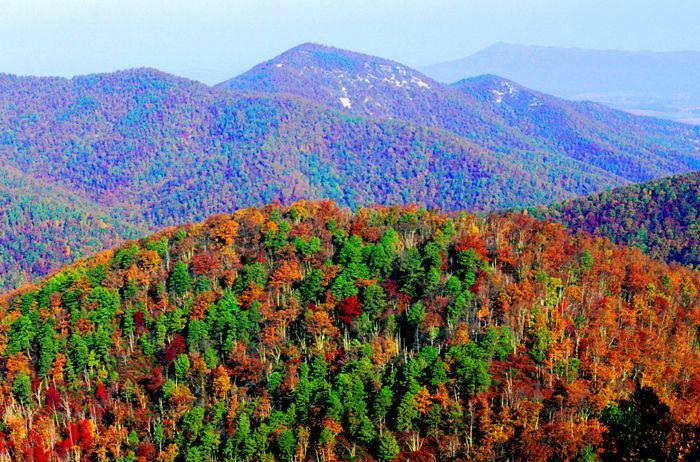 Connecting the Shenandoah and Great Smoky Mountains National Parks, the Blue Ridge Parkway is one of the most important automobile parkways in the United States and the most visited National Park unit in the nation. The 469-mile scenic parkway makes its way through the Appalachian Mountains of Virginia and North Carolina where visitors can see historically significant examples of 19th and 20th-century lifeways, architecture, and industry associated with the people and communities along its path. The idea for the Blue Ridge Parkway was born in the Great Depression era when President Franklin Delano Roosevelt visited the newly constructed Skyline Drive in Virginia in 1933. As part of his ambitious “New Deal” program, Roosevelt convened the governors of Virginia, North Carolina, and Tennessee and asked that a planning team be created. On November 24, 1933, Interior Secretary Harold Ickes approved this “park-to-park” highway as a public works project. Though the nation was experiencing great economic turmoil, automobile ownership was on the increase. Further, the project would create thousands of jobs in the region. 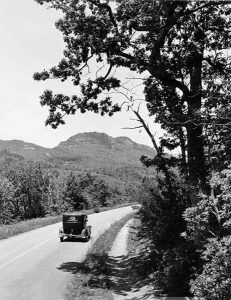 Congress allocated funds for the initial construction of the Blue Ridge Parkway on June 16, 1933, under the authority of the National Industrial Recovery Act. With a budget of $16 million, Ickes hired Stanley Abbott, a New York landscape architect, to oversee the project, and Abbott’s vision of a chain of parks and recreational areas began to take shape. The parkway was envisioned as the first elongated national park providing automobile travelers access to some of the most spectacular natural scenery in the United States, as well as architectural details that provided variety and charm. Its planned landscape was designed down to the smallest details, as landscape architects and engineers worked together for decades to complete the project. Due to land-ownership constraints, it was 30 years before the Parkway road was completed across the Pisgah Range in North Carolina. 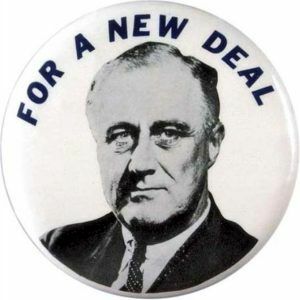 Most of the construction was done by private contractors, but a variety of New Deal public works programs were also employed, including the Works Progress Administration (WPA), the Emergency Relief Administration (ERA), and the Civilian Conservation Corps (CCC). When World War II began, approximately 170 miles were open to travel and another 160 miles were under construction. By the early 1950s, only half of the Blue Ridge Parkway was completed. In the mid-1950s, the National Park Service launched a ten-year development program, called Mission 66, to mark the 50th anniversary of the agency’s creation. The plan included an accelerated effort to complete construction of the Parkway by 1966. This initiative was very successful, finishing all of the Parkway’s construction with the exception of 7.7 miles at Grandfather Mountain, North Carolina. After years of negotiating, the revolutionary Linn Cove Viaduct was constructed to protect the mountain’s terrain and Blue Ridge Parkway’s continuous 469-mile route was finally completed in 1987. 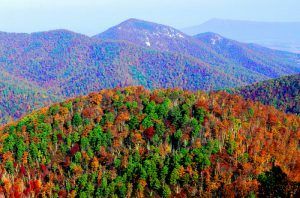 When complete, the parkway made its way through the central and southern Appalachian Mountains from the Shenandoah National Park, near Waynesboro, Virginia (Milepost 0) to Great Smoky Mountains National Park, near Cherokee, North Carolina (Milepost 469). Often called “America’s Favorite Drive,” Blue Ridge Parkway was the first national rural parkway to be conceived, designed, and constructed for a leisurely driving experience. The pathway for recreational driving was and continues to be free from commercial traffic or stop signs. The parkway is the highest and longest continuous motor road in the Appalachian region. It encompasses elevations from approximately 600 feet at James River in Virginia to 6,411 feet at Richland Balsam summit in North Carolina. Along the way, visitors enjoy the spectacular scenery of five major mountain ranges, wildlife, diverse outdoor recreational opportunities, and the history and heritage of the people and communities of the central and southern Appalachians. Along the parkway are numerous scenic pullouts, recreation areas, historic sites, and visitor centers. The parkway also provides several campgrounds and two lodges, which are typically open late spring through fall. There are entrances and exits to and from the parkway at all major federal and state highways. Once on the parkway, the maximum speed limit is 45 miles per hour and is often less than that. There are no gas stations along the Parkway, but several are located just off the Parkway at access points. Roanoke, Virginia and Asheville and Boone, North Carolina are the largest cities along the way. Humpback Rocks – Milepost 5.8 – At the Parkway’s north end is a scenic hardwood forest and sweeping valley vistas. Humpback Rocks illustrates the blend of cultural and natural features that define the rest of the Parkway. Visitors can hike to high rock outcroppings or explore 1890s farm buildings relocated during Parkway construction. This site also includes a visitor center with a museum and a picnic area. James River – Milepost 63.7 – Travel through the James River Gorge has evolved from foot, to boat, to rail, to today’s modern highway road system. Stop at the visitor center to discover why Virginians built a canal system rather than simply float on the unimproved James River, and why a railroad would buy an entire canal system. This area includes a visitor center, hiking trails, and a picnic area. Peaks of Otter – Milepost 85.6 – Visitors to Peaks of Otter follow a long-standing tradition of tourism. Starting in the 1800s, the surrounding community opened their homes and lodges to guests hoping to relax and rejuvenate in the mountains. 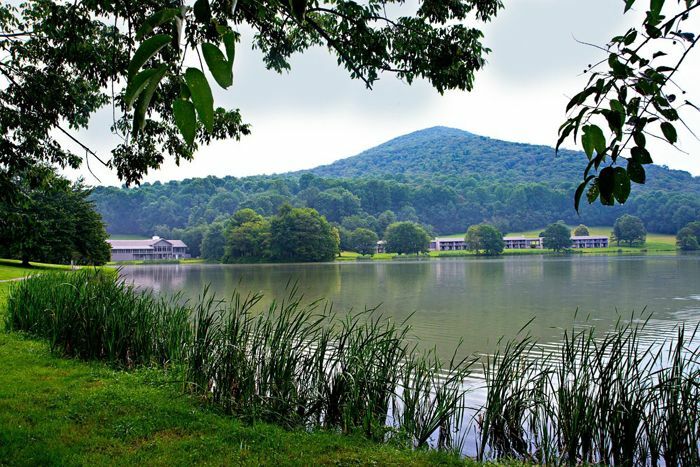 Modern visitors can stay the night at historic Peaks of Otter Lodge, explore the visitor center, visit Johnson Farm, hike one of the area trails, or fish in Abbott Lake. Polly Wood’s Ordinary, or early tavern, served as the area’s first lodging facility in the 1830s. Rocky Knob – Milepost 167 – Venture into one of the Parkway’s more rugged areas at Rocky Knob. Hike through forests, explore mountain ridges, or enjoy spring wildflowers. This site features a visitor center, campground, picnic area, and hiking trails. Mabry Mill – Milepost 176 – The sights and sounds of Rural Appalachia fill the air at Mabry Mill during summer and fall. Ed Mabry built the mill where he and his wife Lizzy ground corn, sawed lumber, and did blacksmithing for three decades. The old mill, cultural demonstrations, and a decades-long tradition of Sunday afternoon music and dancing continue to draw visitors today. Take a break from driving with a short walk by the mill or some country fare at the restaurant. 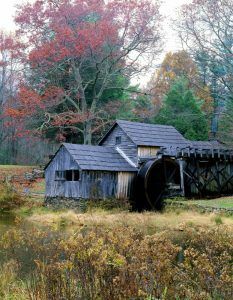 Mabry’s Mill is open seasonally and cultural demonstrations occur Thursday-Monday from 10:00 a.m. to 5:00 p.m. in summer and early fall. Free mountain music concerts are held on Sunday afternoons in the summer and fall. 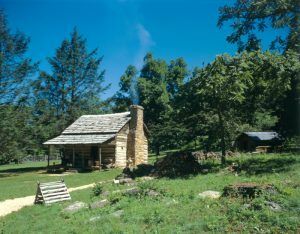 Matthew’s Cabin, which is not one of the original Mabry buildings, but was relocated from an area close by adds to the area’s picturesque and historic nature.